If that lovely sweater knit fabric that you purchased a couple of years ago is still sitting in your stash because you're afraid to cut into it, then I have an announcement especially for you. I'm so very happy to invite you to the Sweater Knits Weekend Sewing Intensive that I'll be teaching at Workroom Social in Brooklyn NY on November 11th and 12th. The 16-hour workshop will meet from 10 AM to 6 PM each day. Lunch and snacks are included. 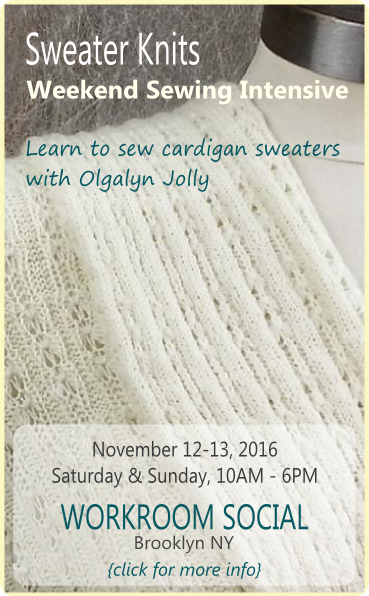 We'll have two full days to cover the details, the intricacies, and the amazing fun of turning sweater knit fabric into a beautiful cardigan. And I couldn't be more excited! In our sewing intensive, you'll learn how your sweater knit fabric’s unique properties of stretch and recovery influence both fit and design, and you'll learn how to get the fit you want. From essential techniques for laying out a sewing pattern on sweater fabric to methods for finishing the inside of your cardigan so it's nice and neat, we'll cover the finer details of making a well sewn sweater. 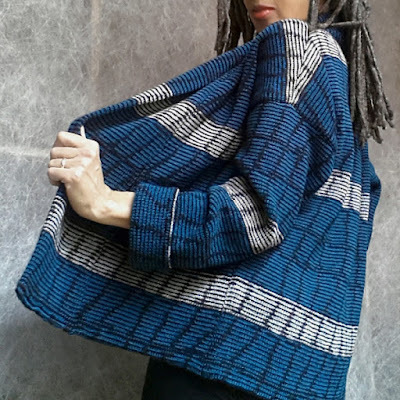 Also included in this workshop are recommended stabilization methods for cardigans and how to get color or texture patterns to match at the seams. And I'll show a couple of buttonholes that work well with sweater knits, just in case you want to add buttons once you're comfortable with your fabric. Make it pretty on the inside too! 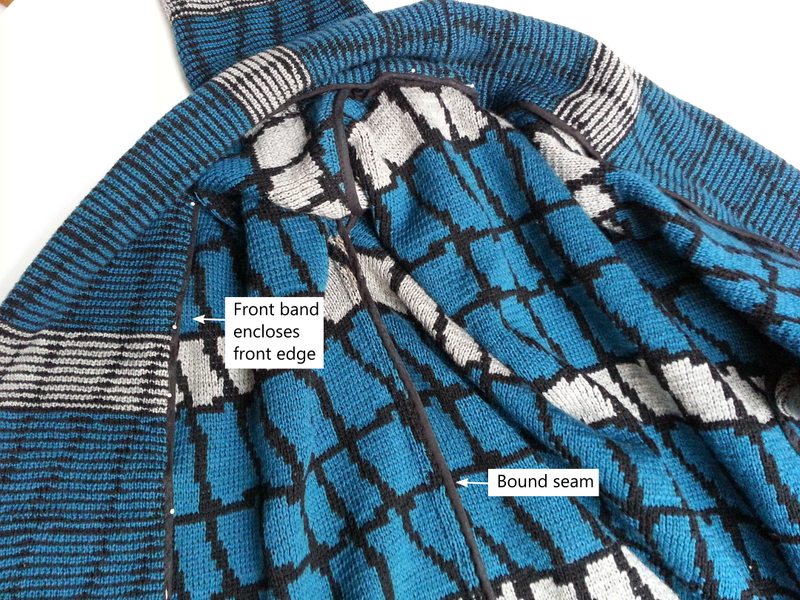 The Sweater Knits Weekend Sewing Intensive is part of Workroom Social's Learn To Sew series of classes and is designed for the beginner to advanced beginner sewer. Registration is closed. Join the O! Jolly! email list for news, tips, and sweater knit fabric discounts.